Surgical oncologists treat all types of breast cancer. We have specialized expertise in treating patients with advanced cancer, and in cases where a combination of chemotherapy, radiation, surgery and reconstruction are required. Each year, over 24,000 Canadian women and 200 Canadian men are diagnosed with breast cancer. In most cases, the tumor is small and, after treatment, the outlook is quite good. Surgery to remove a portion of the breast, called lumpectomy or partial mastectomy, and radiation to the rest of the breast, are the mainstays of treatment in these small tumors. Surgery to sample the lymph nodes in the armpit, called sentinel node biopsy, is usually performed at the same time as lumpectomy. Additional drug treatments are recommended in some cases. Some breast cancers are more aggressive tumors and need to be treated with a combination of surgery, chemotherapy, and radiation. These tumors are often faster growing, invade into skin and/or muscle, and can involve the lymph nodes in the armpit (also called the axilla). They are often treated with chemotherapy first, followed by surgery and/or other treatments. Surgery for this type of breast cancer may involve lumpectomy or removal of the whole breast (mastectomy), and may be combined with sentinel node biopsy and/or removal of all lymph nodes in the axilla. In these patients, the combination and order of treatment, including surgery, chemotherapy and radiation, is a complex equation and requires input from the patient as well as a team of doctors. Our surgical oncologists are part of a specialized breast cancer team. We work closely with the medical (chemotherapy) and radiation oncologists to ensure that each patient receives the best available treatments and highest quality care. Click on the topics below to read more about breast cancer treatments. When mastectomy (removal of the entire breast(s)) is considered as part of the treatment for breast cancer, the possibility for reconstruction is discussed. Breast reconstruction is performed by specialized plastic surgeons who work closely with our surgical oncologists to ensure that we achieve the best possible outcomes – both in terms of treating the cancer, and in terms of an acceptable size and shape to the new breast. Breast reconstruction can be done with implants or by moving tissue (skin, fat and muscle) from another part of the body. The type of reconstruction recommended for each patient depends on a wide range of factors and is discussed in detail by the patient with the plastic surgeon. 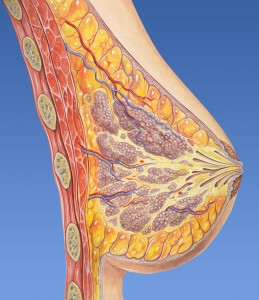 In some cases, reconstruction can occur immediately (at the same operation as the mastectomy). In other cases, due to the type of cancer and treatments required, reconstruction cannot be done immediately and must wait until other treatments are completed.